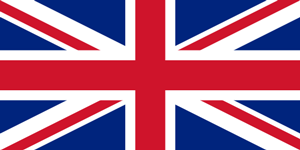 Using the TCE online currency ordering system, you can order Great Britain Pounds, at better exchange rates. Then you can either pick up your sterling at our store, or have it delivered to your door, anywhere in Canada. The pound sterling currency symbol is £. The currency code for pound sterling is GBP. This currency is also known as the pound. It is the world’s oldest currency and It has been in continuous use since its inception. The Great Britain Pound is the official currency of United Kingdom, Jersey, Guernsey, the Isle of Man, South Georgia and the South Sandwich Islands, the British Antarctic Territory, and Tristan da Cunha. It is divided into 100 pence. Sterling is the 4th most traded currency in the foreign exchange market, after the US dollar, euro and Japanese yen. These four currencies also form the basket of currencies which calculate the value of IMF special drawing rights. Sterling is also the 3rd most held reserve currency in global reserves. TCE offers better currency exchange rates than banks, exchange bureaus, or credit cards in general. Do not overpay for your currency. But that is not all. In addition to saving you money, we also save you time. Save time by ordering online. We accept Interac Online Debit Cards! This is the safest and most secure way there has ever been to make a payment online! Simply pay online with your debit card and you can save precious time. Want to save even more time? We can ship the currency to your door. Safely and Securely. If you choose home delivery, your package will be couriered to you via Canada Post in only two business days! This is fast and safe, and most importantly, it saves you lots of valuable time. If you are in the Toronto area, you can pick up your currency at our store. We offer a half hour of free underground parking. We accept walk-ins, you do not have to place your order in advance but it is preferable that you do. We accept payment in cash, interac debit, email money transfer and wire transfer. .